Join Jessica and Truckee #Team Morse for Canvassing. 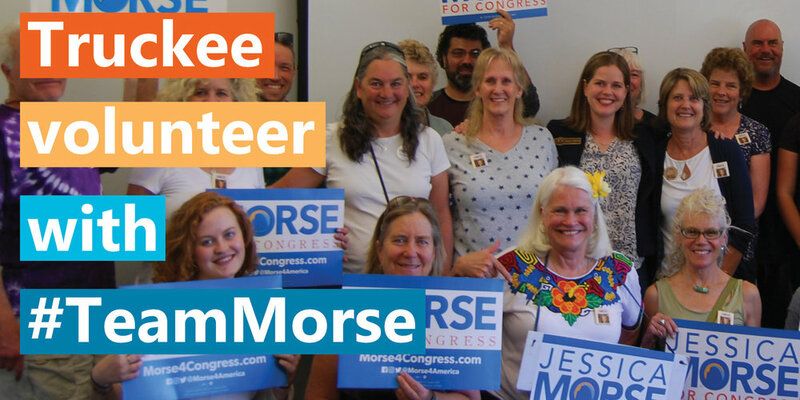 talk to your neighbors and tell them why you’re supporting Jessica Morse! Bring a friend, sunscreen, and your walking shoes! Canvassing is more fun with friends! See you at our Truckee Office on 11425 Donner Pass Rd. at 3pm on Saturday, October 27th.